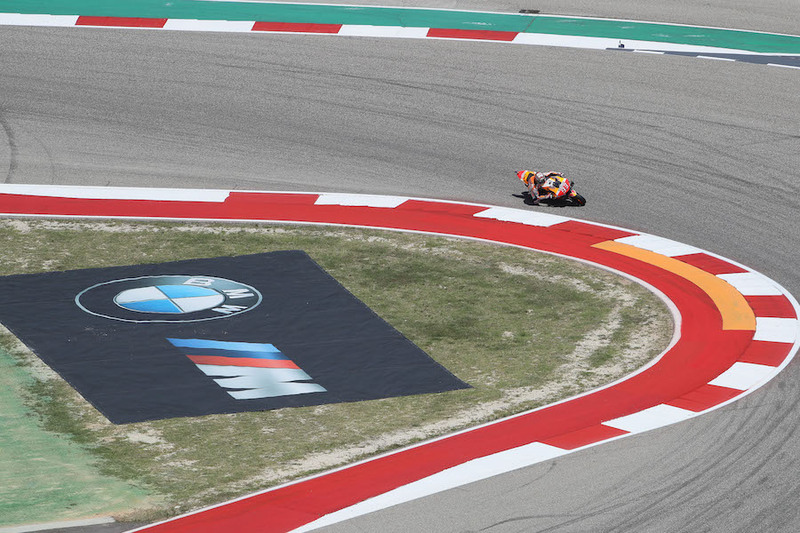 Bumps, bumps and more bumps – interspersed with low grip – were the talk of track at CotA, with riders universally bemoaning that the fantastic layout was spoiled by a sub-standard surface. The blame falls less on sharing the circuit with F1, which at other circuits leads to severe ripples late in the braking zone, and more on a clay sub-surface, causing undulations at unpredictable parts of the track. A highly visible double bump on the downhill entry to Turn Two is one, causing Moto2’s Xavi Vierge to go flying; others are in the middle of the main straight. It is all the more upsetting because the 20 corners of the third-longest track of the year (behind Silverstone and Malaysia, at 5.513 km – 3.426 miles) make it a fascinating challenge – but the poor surface imposes restrictions to speed and cornering line. Last year the track surface was shaved in places, but riders report that it actually made it worse. This year there has been further milling at the first two corners and at Turn 18, and a complete resurface at Turn 10, a very fast left-hand kink over a blind brow. For Rossi, the overall condition of the track was “not so bad – better than last year”. Riders complained of dirt and a lack of grip, but Marquez’s FP1 time was marginally quicker than in the same session last year, although slightly warmer conditions would have helped with that. Marquez, MotoGP, Grand Prix of the Americas 2019.